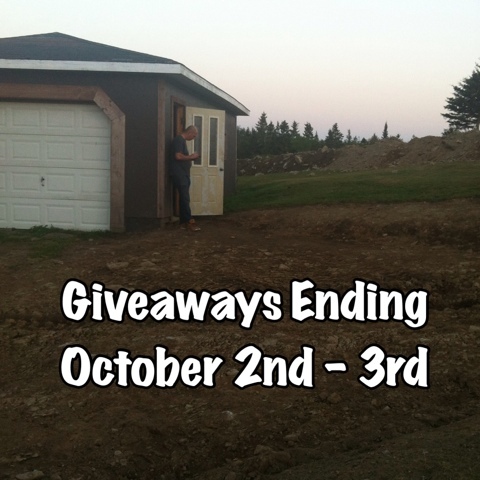 Here are a list of contests and giveaways that are open to Canadians and will be expiring on either October 2nd or October 3rd. As always, I have provided you with a clean link. In some cases, I have also provided you with a referral link and if you enter using my referral link, I will earn a bonus entry. Happy contesting! 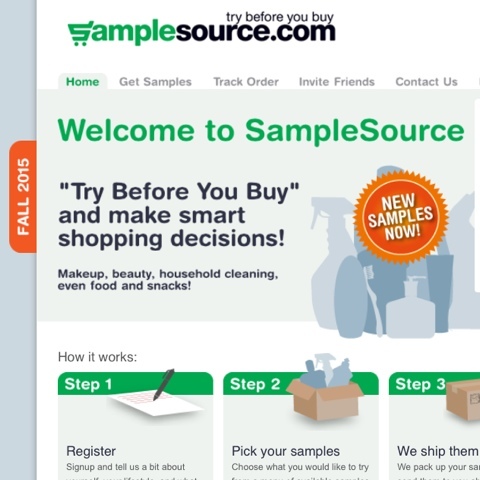 Fall sampler packs are available for a very limited time from Sample Source. This is a good one and there are a potential of 14 free samples depending on how you answer the qualifying survey. Hurry, secure your sampler before they are all gone! 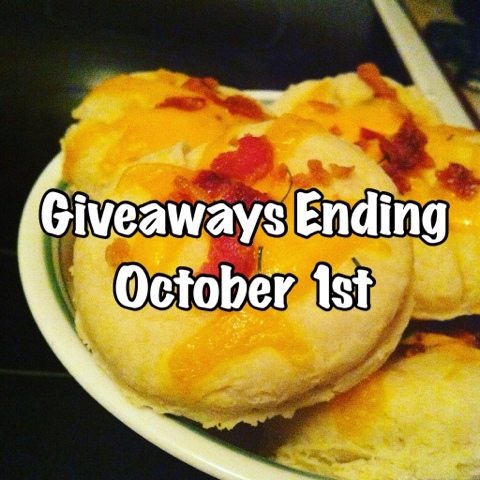 Here are a bunch of giveaways that are going to expire on October 1st. As always, I have provided a clean link, in some cases I have also provided a referral link. If you enter using the referral link, I will earn a bonus entry. Happy Contesting, lovelies! Don't forget, I post lots of giveaways on Facebook, Twitter, Instagram and Pinterest! Here are some Giveaways from around the web, all of them are open to Canadians. 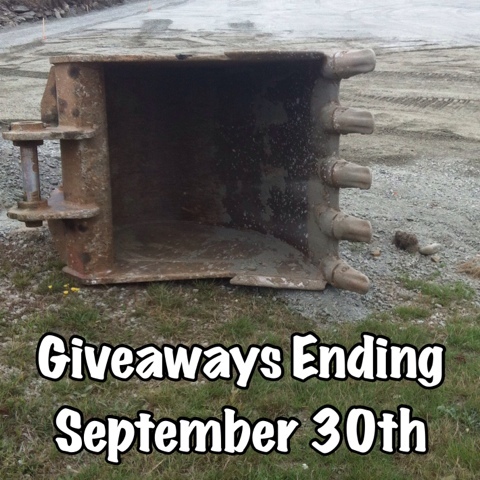 Each of them end on September 30th, 2015, so enter while you can! I always provide a clean link, but sometimes I also provide a referral link and if you enter with my referral link, I will gain a bonus entry into the contest. Happy contesting! 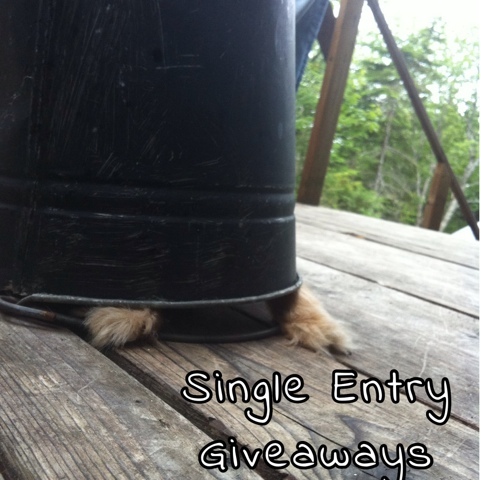 Don't forget, I post lots of giveaways on Facebook, Twitter, Instagram and Pinterest as well! Visit Seeds of Change on Facebook (desktop link) and click in the map to vote for a participating community garden to register to receive a free product coupon. This campaign has been active for a little while and it will be active until December 31, 2015; or while supplies last. The coupon does arrive, I got mine last month. One coupon is available per Facebook account. 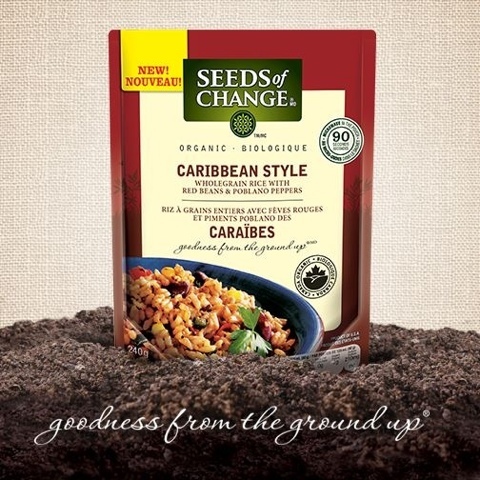 Seeds of change donates 1% of the proceeds from each sale in 2015 to a participating community garden. 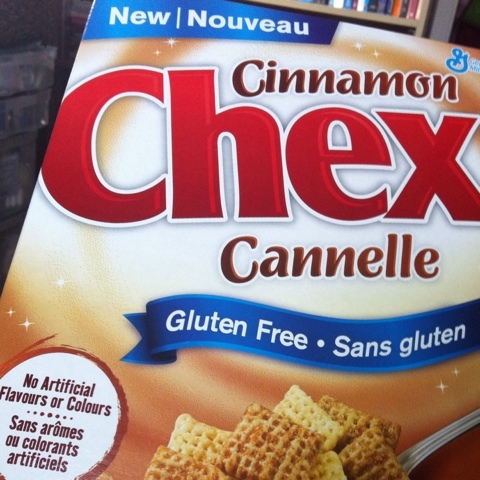 Have you tried the Cinnamon Chex? I find that they are even more delicious than cinnamon toast crunch. They are made with rice flour, so they are Gluten Free! They also do not use artificial flavours or colours. That is important in my household because I have an allergy to Yellow #5. Also, I find artificial flavours and colours sacrifice the overall taste. New Cinnamon Chex is so delicious, the box didn't even make it down to the cereal cupboard. I kept it upstairs for a secret snack. Now I have to buy a second box, so the rest of the family can try it too. I eat it dry, it makes a great sweet snack. The side panel of the box has a bunch of recipes for things like "Tropical Chex Party Mix", "Spiced Nuts Chex Party Mix" and "Chex Cookie Pizza". I would love to try these recipes, None of them are listed on the website though, which is slightly unusual. Guess you have to buy the box to try out the recipes. Smart, I guess. Which one would you like to try? Disclaimer: I tried this product for free because of a BOGO free coupon that I acquired from Save.ca and Life Made Delicious over the summer. No one asked me to review this product, I chose to because I really enjoyed the product and I wanted to share that with all of you. All opinions are my own and honest. Have a great day! This is the last one from the rainbow moody sky series, I promise!! it is another one of my favorites though. It really was a great moment in time and I'm glad I was able to capture it. 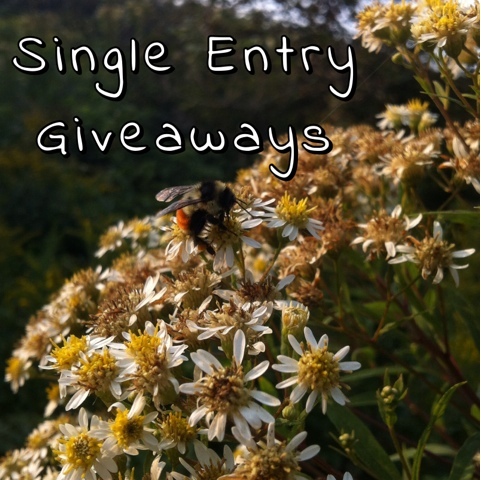 Here is a list of Single Entry Giveaways from around the web. 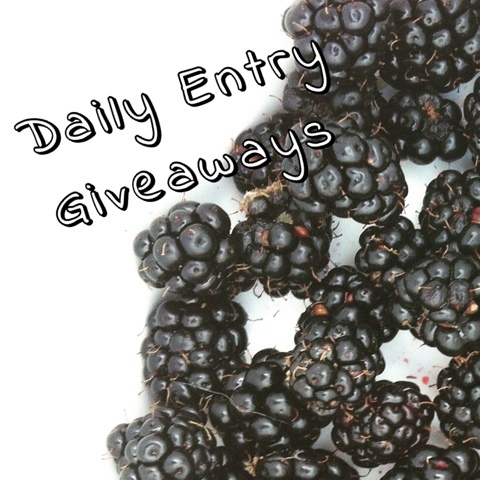 These giveaways all expire on September 20th, 2015. I always provide clean links, however, sometimes I provide a referral link in addition to the clean link. Are you running a giveaway that is ending on the date listed above? Leave it in the comments. Be sure to state whether it is open to Canada, US/Canada or Internationally. Lastly, please provide a clean link. I'm not great at canning vegetables, I'm learning! Because of this, I often opt to freeze most things. At least until I improve and gain more canning experience. I still have a lot of things in the garden to preserve for the winter months. But before I can freeze my vegetables, I need to blanch them. 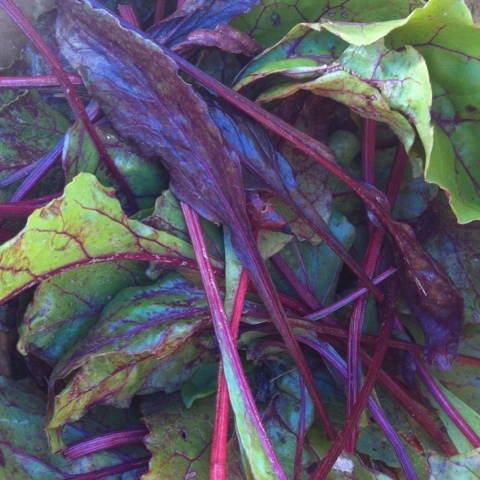 The blanching process, helps kill certain bacteria and enzymes which can continue to multiply even while frozen. Some of them are in charge of the plant growing and even decomposing and can affect the taste of your product long after it has been picked. The blanching process can help preserve the flavor so that is closer to the taste at the time it was picked. You must be careful not to over or under blanch. That can also affect the taste. Typically, you bring water to boiling point and submerge your fruit/veggies in the water for 2.5 - 3 minutes. Immediately, pour into a strainer on ice (or run cold water) this stops the blanching process so your fruit/veggies don't cook. 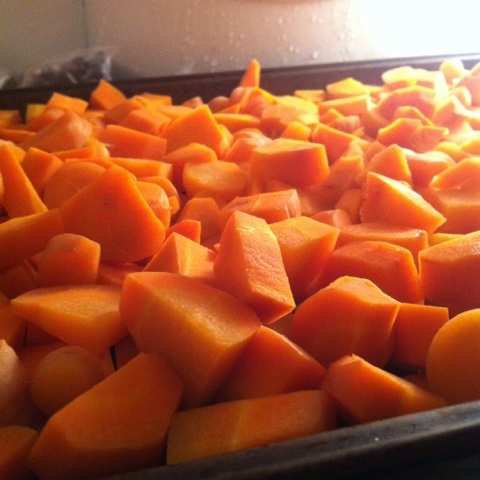 Afterwards, I lay out the fruit/veggies on a tray in the freezer and allow them to undergo a preliminary freeze for about 30 minutes to an hour. This way, when I store them in the freezer baggies, they do not stick together and I can access smaller quantities easily. 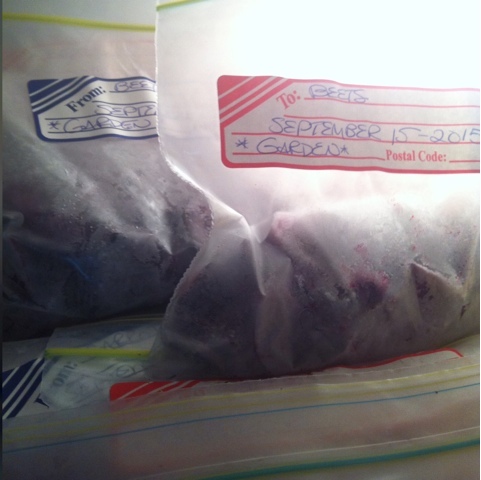 I then store them in freezer bags, labeled and dated. It was a busy night. 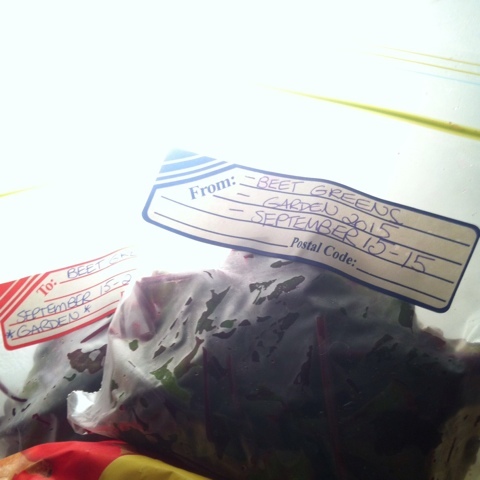 I froze beets, beet greens and carrots from the garden. This is also a great way to preserve season fruits and veggies from the supermarket. Shop local! What will you freeze? 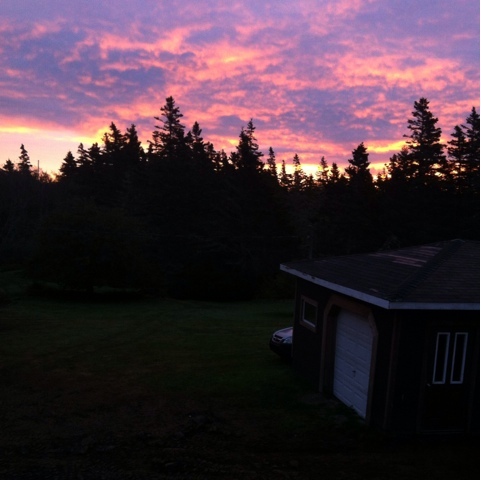 Red sky in the morning, Sailor's take warning"
I don't sleep so well at night, so I often see the sun rise. Even if it is only for a moment. 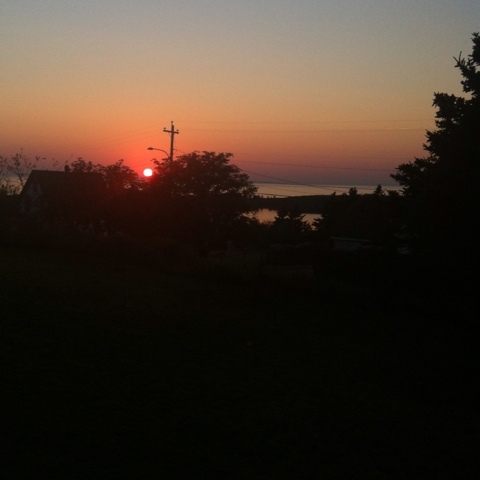 I woke up to the swirls of red, orange and purple one morning last week. It was just before the rain came. It was a wonderful site. I got out of bed, specifically, to take a picture of it. It was glorious! There was actually another photo in the series. This is probably one of my favorites too. There is just something about it that I really like. I remember as a child, associating rainbows with leprechauns and gold. I had many a leprechaun hunt in my day. 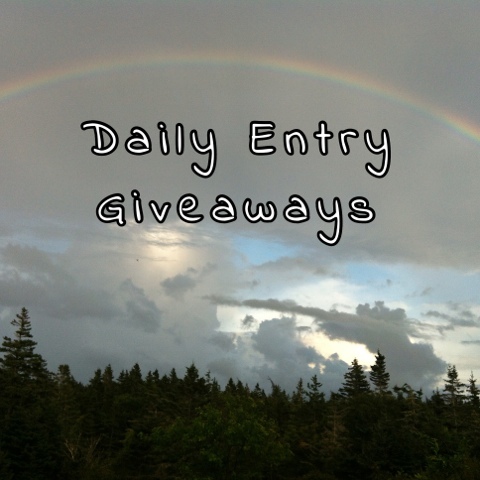 Here is a list of Daily Entry Giveaways from around the web. These giveaways all expire on September 20th, 2015. I always provide clean links, however, sometimes I provide a referral link in addition to the clean link. I'm always happy to see bees. I'm probably the only one in my family. My mother and sister are both allergic to them. I think they are glorious. I find the role they play in gardening, their hives, and their communication quite fascinating. I happened to stumble across some bees pollinating some flowers on a woodland walk a couple weeks ago. 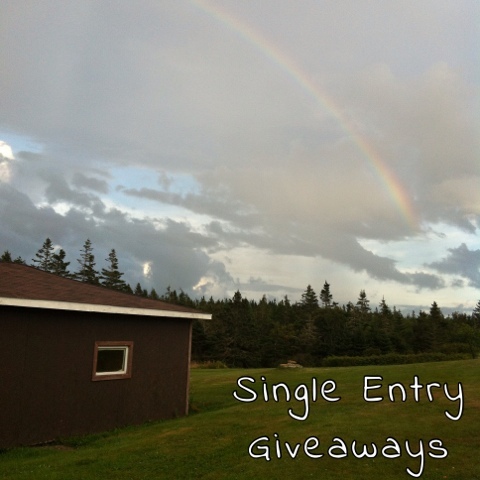 Here is a list of Single Entry Giveaways from around the web. These giveaways all expire on September 19th, 2015. I always provide clean links, however, sometimes I provide a referral link in addition to the clean link. It was another peaceful night in the country. I moved the wood from the tiny house garden to the big garden plot. I'm going to miss having it so close to the house, but everything is being dug up and the patio just got taken down today. The wood is half rotten but I made a bed with it anyway, I want to replace it with proper lumber in the spring, perhaps even in the fall if I get a little ahead financially. We get beautiful sunsets around here. 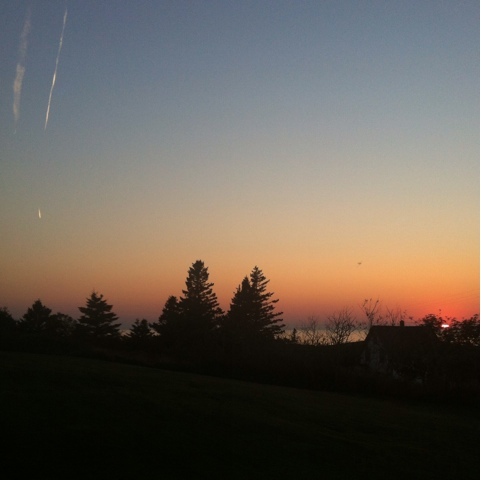 I sit out on the hill time sometimes and I watch the sun set. Some nights, I can hear the ocean, lulling. I started drawing again last night. I'm not an excellent artist by any means. But, I'm creative and that helps. I'm currently working on a catalog of objects. I have future plans, but that is all I can say. It sounds super mysterious, doesn't it. Right now this beautiful view is completely obstructed by mounds of dirt. 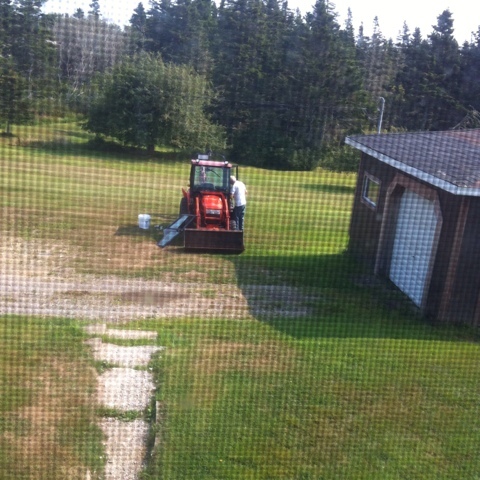 Not only is the walkway being widened; but we are also replacing the line that runs from the well to the house. It's a big old mess right now. It's also pouring outside, I'm pleased. It is needed. 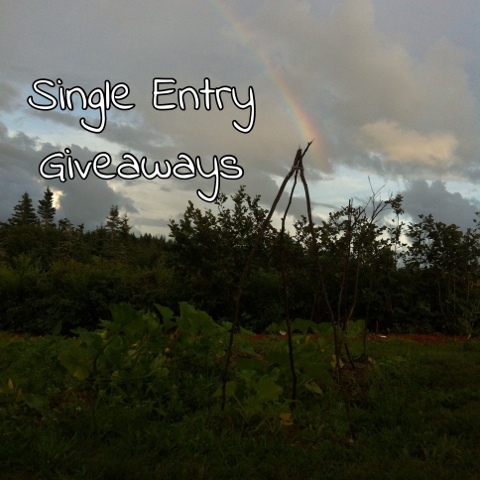 Here is a list of Single Entry Giveaways from around the web. These giveaways all expire on September 17th, 2015. I always provide clean links, however, sometimes I provide a referral link in addition to the clean link. This picture is of the first handful of blackberries that I found in the woods this year. The season will be bustling around here in a couple weeks. I can't wait! 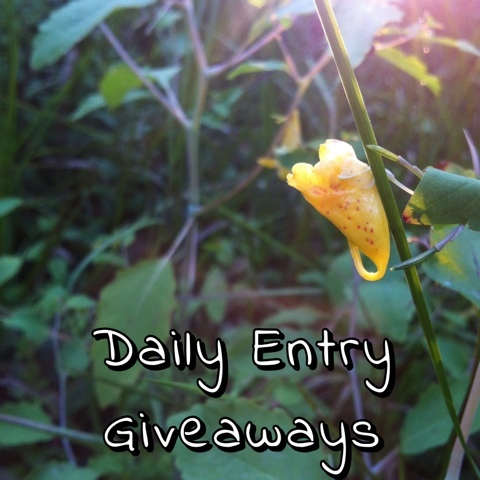 Here is a list of Daily Entry Giveaways from around the web. These giveaways all expire on September 18th, 2015. I always provide clean links, however, sometimes I provide a referral link in addition to the clean link. I find this picture of Comet watching the tractor cute. He whines to go out and play when every he sees it. As I'm writing this, it is raining out and the yard is a mess and he hasn't let up. 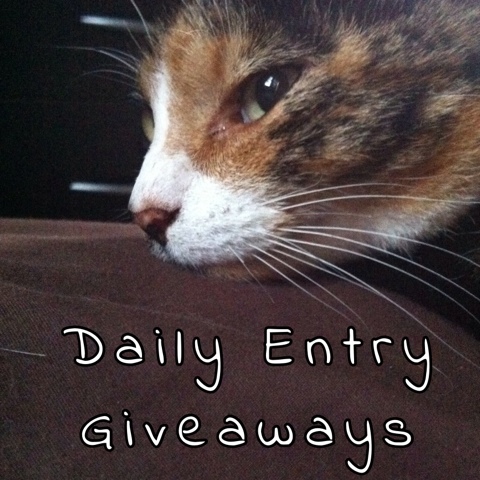 Here is a list of Daily Entry Giveaways from around the web. These giveaways all expire on September 17th, 2015. I always provide clean links, however, sometimes I provide a referral link in addition to the clean link. Comet has been restless the last couple of days. I'm not sure if it was because of the storm we just had, but he has been restless and very playful. He has been jumping up on my bed steadily. 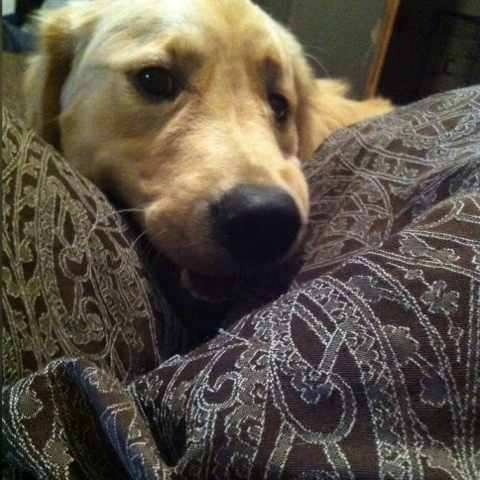 He doesn't normally jump on my bed. He will jump on the kids bed but normally lays at the foot of mine. 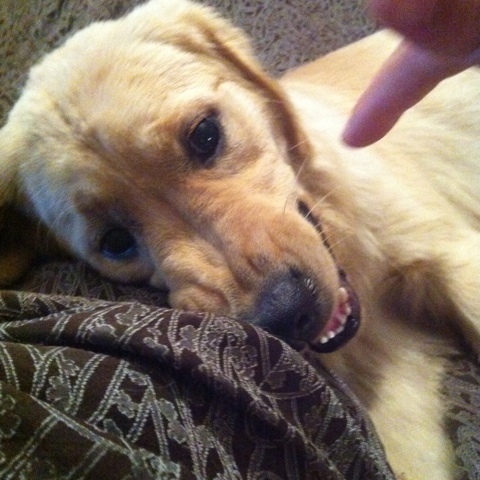 When he was a lil puppy, I taught him to Snarl. He's not vicious, he does it to play and he is pretty gentle. Every time he scrunches his nose up and bares all of his teeth and tries to act fierce. He snorts until he sneezes, it's funny. Every time he would snarl, I would call him Snarls Mcgarnagle. The bottom picture was taken just seconds before the full snarl. I ended up playing fetch with him after. What a cutie. I have no idea what this pretty little flower blossoming down below is called. If anyone knows, I would appreciate the information. It grows wild in the woods in coastal Nova Scotia, if that helps. 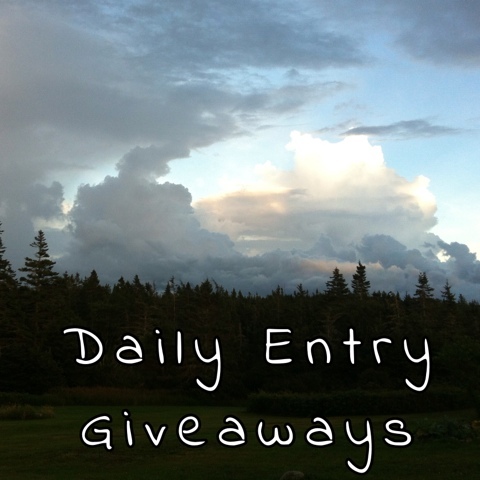 Here is a list of Daily Entry Giveaways from around the web. These giveaways all expire on September 16th, 2015. I always provide clean links, however, sometimes I provide a referral link in addition to the clean link. I'm not done having campfires yet! I plan on burning a few more things before winter rolls in. I haven't burned enough things this summer. I'm a fire bug. 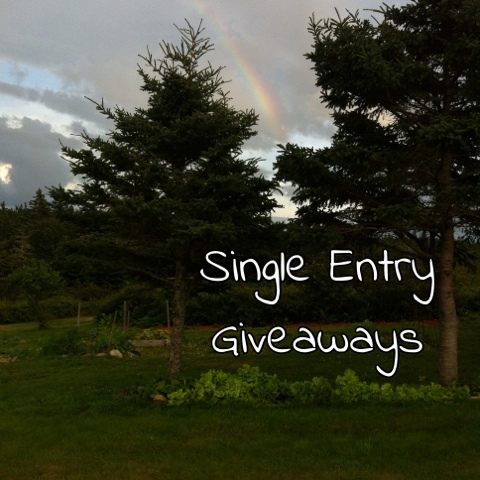 Here is a list of Single Entry Giveaways from around the web. 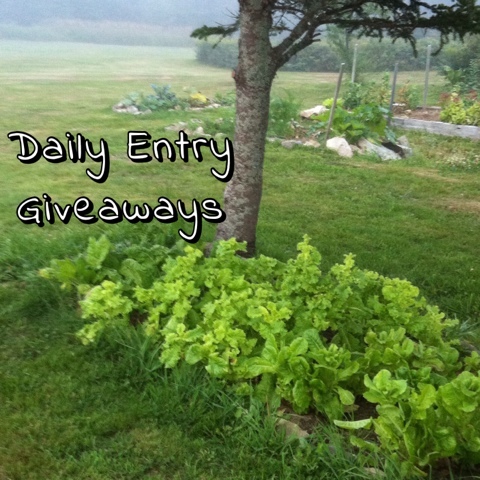 These giveaways all expire on September 16th, 2015. I always provide clean links, however, sometimes I provide a referral link in addition to the clean link. This shot was snapped in my garden almost 2 weeks ago. I guess that means it's time for me to snap some more photos. I did promise that I would every couple of weeks. 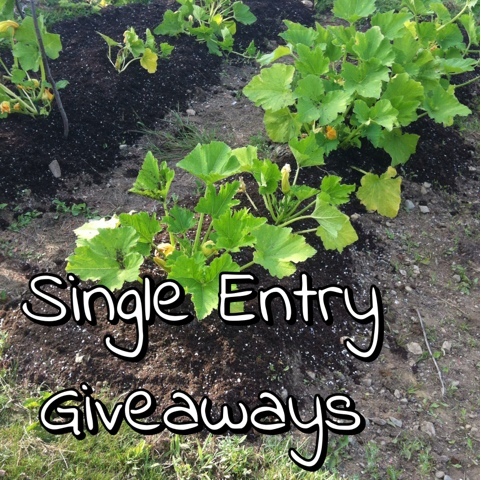 Here is a list of Single Entry Giveaways from around the web. These giveaways all expire on September 15th, 2015. I always provide clean links, however, sometimes I provide a referral link in addition to the clean link. Look at how amazing that lettuce patch looks! It's begun to bolt though, it's time to plant my second round of seeds so I'll still have some lettuce when they die off. I'll also be planting some indoors for the winter. 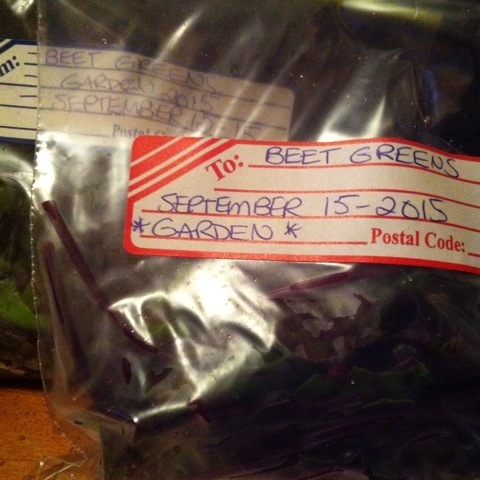 I'm excited to be able to continue growing greens all year round. 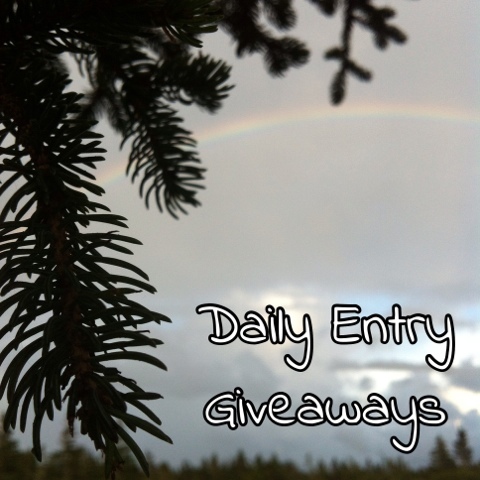 Here is a list of Daily Entry Giveaways from around the web. These giveaways all expire on September 15th, 2015. I always provide clean links, however, sometimes I provide a referral link in addition to the clean link. Our new walkway has come along way from the picture shown above. It's completely demolished and it has rained all day so it is an absolute mess. It had become increasingly narrow over the last few years. The primary reason we chose to widen it is simply because we had to replace and extend the drain pipe that ran beside it. It stopped at the driveway. When it rained hard, the water would run down the driveway and if we had freezing rain, we were in a mess. We had been planning on doing all of our landscaping work this year. 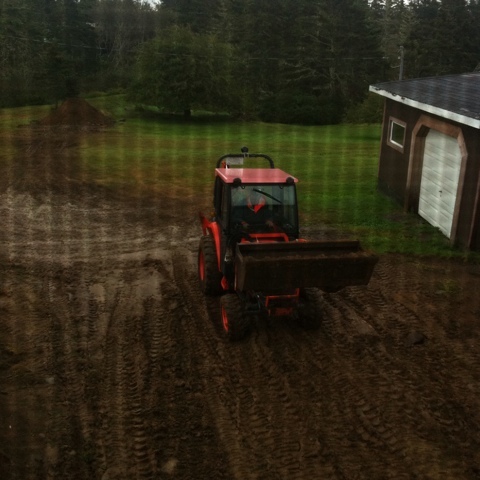 Hopefully, in a couple weeks, I have pictures of a beautiful driveway/open mouth that is filled with gravel. Heck, I might even beautify the surrounding area and plant some bulbs later in the fall. Time will tell. One thing I love about rural living is the abundance of berry bushes that grow wild on our property. There are lots of low bush blueberries that grow in our back fields and I was so busy that I almost missed the season. I did however manage to fill a few containers to freeze for later consumption. 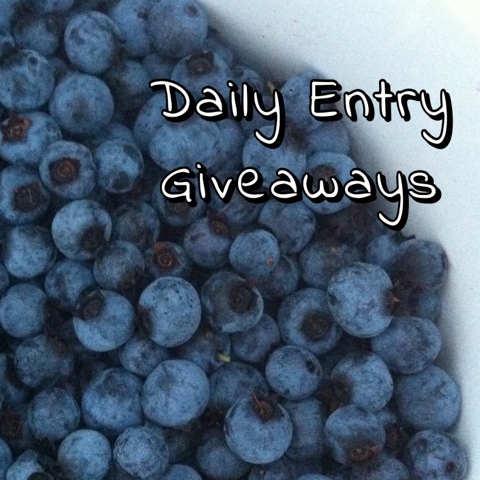 Here is a list of Daily Entry Giveaways from around the web. These giveaways all expire on September 14th, 2015. I always provide clean links, however, sometimes I provide a referral link in addition to the clean link. I've always loved getting things in the mail. I've enjoyed it for as long as I remember. When I was a child, I was exhilarated to discover a letter from a pen pal. As an adult, I love receiving new products to test, samples and coupons from companies and even the occasional contest win. 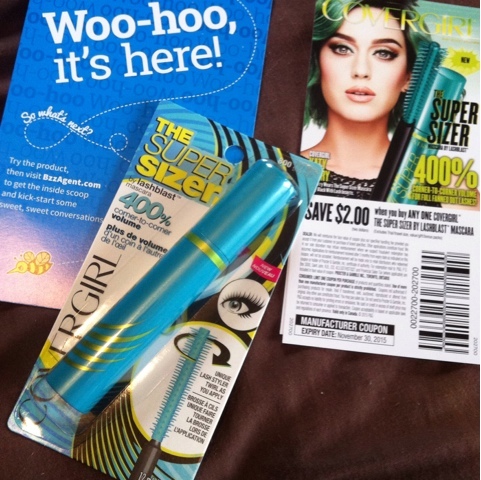 Today I received my Bzz Kit in the mail for Cover Girl Super Sizer Mascara. I also received 6 decent value coupons to give away to 6 of my friends. I really excited to try this out. It won't be today though. I'm in PJ mode and I'm doing a coconut oil treatment on my hair. My scalp has needed it for quite some time. 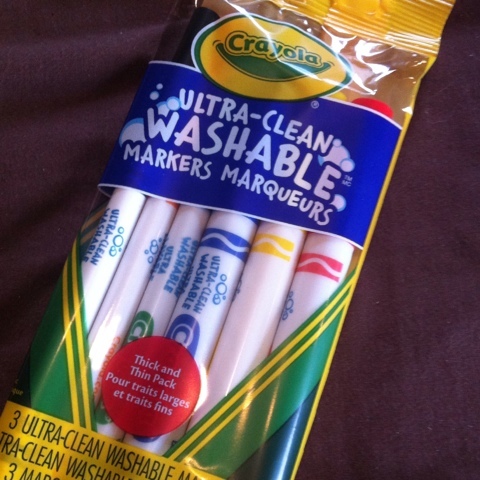 I also received this pack of Ultra Clean Washable Markers from Crayola. I filled out a form a while back to receive them and they finally arrived. These probably won't be for the kids though. We've already taken care of their school supplies. These are for me. I love to get creative in my journal entries and I had been lacking colours. Not anymore. Thanks to Bzz Agent, Covergirl and Crayola for making my day a little brighter and a lot more colourful. Below, you will find another photo from my rainbow/moody sky photo shoot. I wandered around the property with my old iPhone 4, snapping pictures while it sprinkled. A few weekends ago, we went to the Mat's family's camp. I really enjoy spending time there and over the last couple of years, we've been making an effort to go more frequently. Mat's cousin has a tiny Pomeranian dog and she somehow ended up underneath this bucket. I still find it amusing. I think she actually enjoyed being under there. 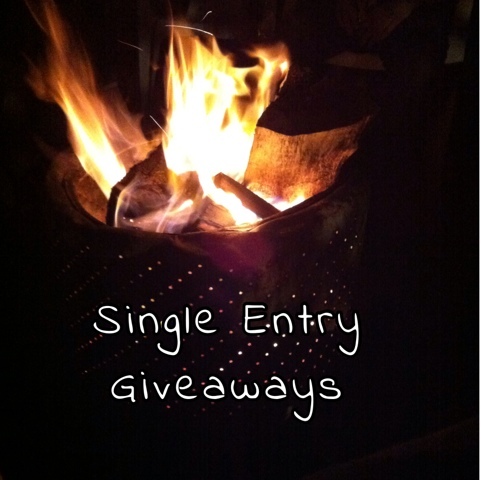 Here is a list of Single Entry Giveaways from around the web. 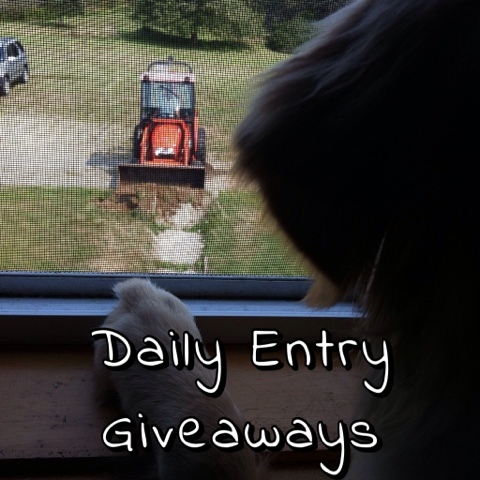 These giveaways all expire on September 13th, 2015. I always provide clean links, however, sometimes I provide a referral link in addition to the clean link. My cat, "Fuzzy Phoenix" is shown below, during one her many daily cuddle sessions. She never used to be so cuddly. She has grown friendlier with age. At night, Mat is big spoon, I am middle spoon and she is little spoon. I am trapped between 2 furnaces. Perhaps, this is why I do not sleep well. 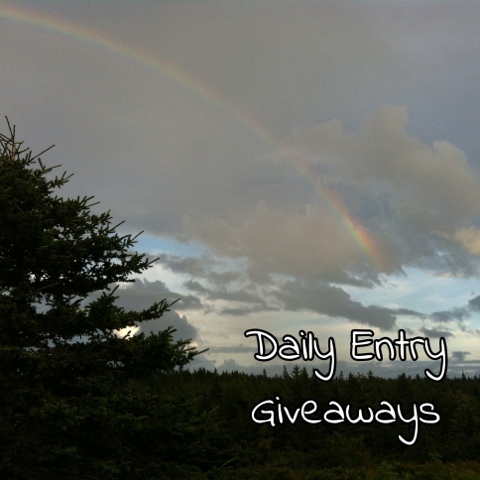 Here is a list of Daily Entry Giveaways from around the web. These giveaways all expire on September 12th, 2015. I always provide clean links, however, sometimes I provide a referral link in addition to the clean link. Sometimes the sun shines brilliantly and as my dear friend Jessi has pointed out, it looks like the CBC logo when it flares in your lens. I hope you are having a wonderful stress free day, where ever you are, whatever the weather. My 12 year old, Tyler, sprained his foot today at school. While limping around the house, he proclaimed proudly that he was "faster than a slug." At least his spirits are still high. 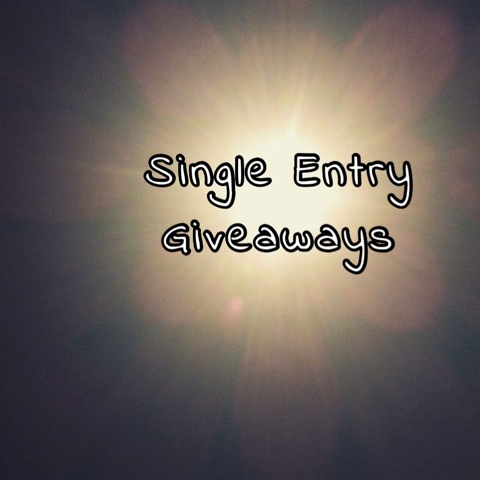 Here is a list of Single Entry Giveaways from around the web. These giveaways all expire on September 12th, 2015. I always provide clean links, however, sometimes I provide a referral link in addition to the clean link.